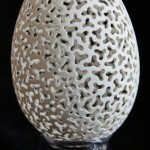 Nicknamed peregrin71, Piotr Bockenheim is a talented Polish artist. 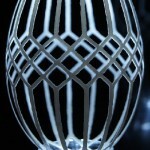 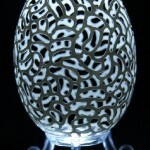 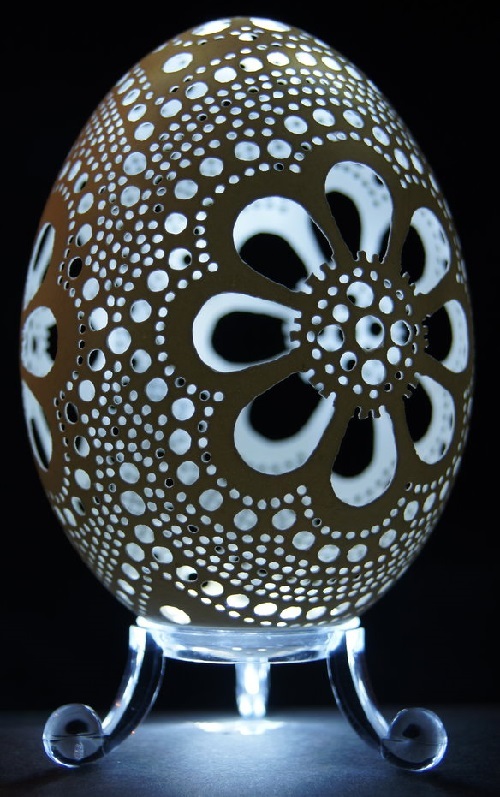 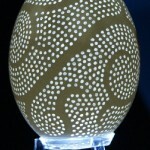 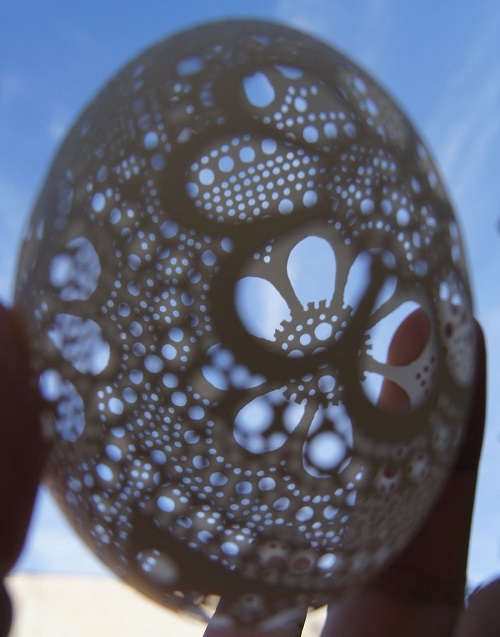 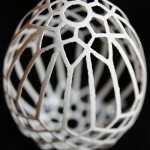 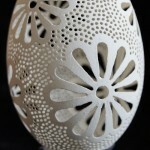 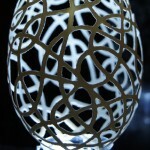 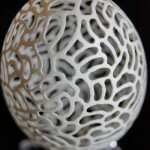 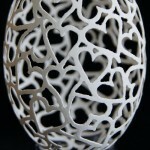 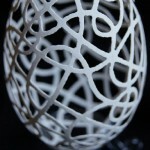 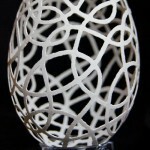 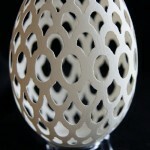 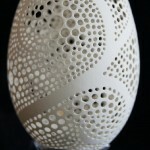 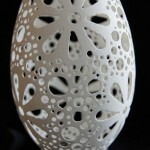 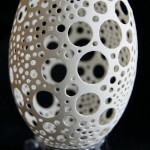 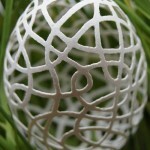 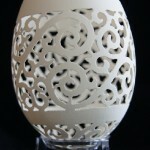 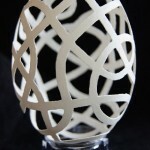 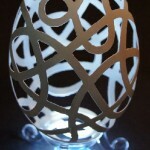 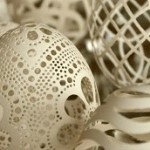 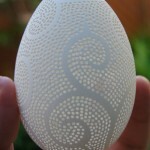 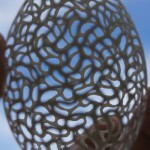 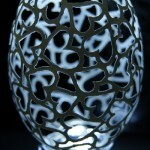 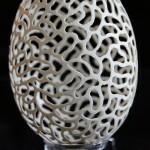 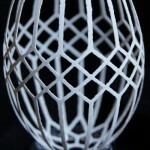 He uses a reductive drilling technique to transform goose eggs into slithering tangles of string and various geometric or floral patterns. 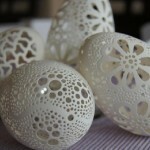 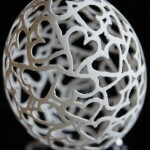 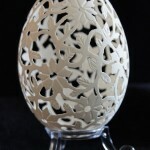 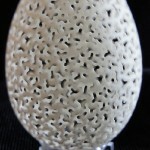 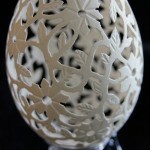 According to critics, his intricately carved goose eggs are similar to the works of skillful artists jewelers.